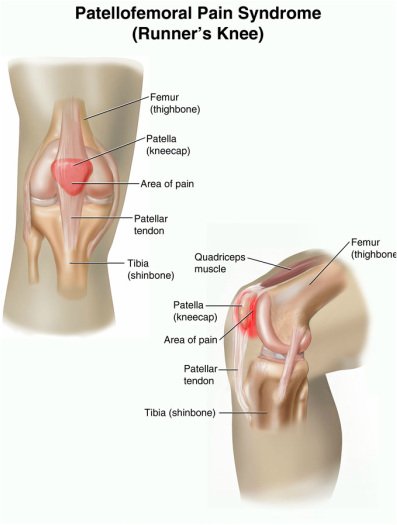 The patella is more commonly known as the kneecap. The patella has an important duty to link the quadriceps to the tibia. It is positioned in the patellar groove acting as a lever and therefore creating a mechanical advantage for the quadriceps muscle. Patellofemoral syndrome usually presents with sensations of the patella “slipping away” or feeling loose with movement of the knee. Individuals will typically describe anterior knee pain with motions. Traumatic injury or overuse may occur during athletic activities Abnormal patellar tracking may be congenital or a result of muscle imbalance or poor biomechanics.